29th September 1917, aged 24. Received a serious head injury from shrapnel whilst in action near the Menin Road. 21st October 1917, aged 25. Son of Walter George and Eliza Jane Andrew, of Winchester St., Malvern, South Australia. Native of Adelaide, South Australia. 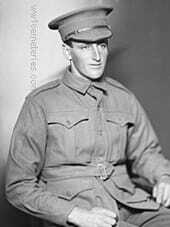 Portrait of 3906 Acting Sergeant (A Sgt) Cyril Dunstan Andrew, 32nd Battalion. 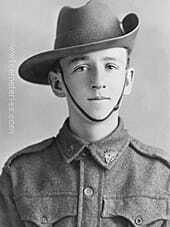 A warehouseman from Unley, South Australia, prior to enlistment, he embarked with the 9th Reinforcements from Adelaide on 21 September 1916 aboard HMAT Commonwealth (A73) for Plymouth, England. Following training in England he proceeded to France and reverted to the rank of Private (Pte) before joining his battalion on the Western Front near Dernancourt, France. 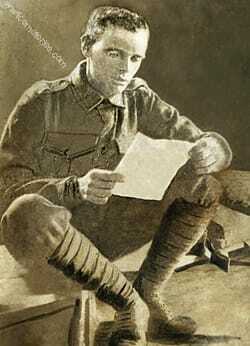 He was hospitalised twice with illness and rejoined his battalion in mid-March 1917. Pte Andrew was transferred to the 8th Light Trench Mortar Battery on 10 May 1917 and was appointed Lance Corporal (L Cpl) five weeks later. L Cpl Andrew was wounded in action near Poperinghe, Belgium, on 21 October 1917 and died of these wounds later that day in No. 3 Canadian Casualty Clearing Station. He was aged 25 years. 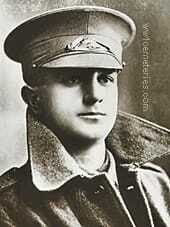 ​10th October 1917, aged 27. Son of Ambrose and Mary Helena Argent, of Grantville, South Gippsland, Victoria, Australia. Native of Victoria. From Corinella, Vic. 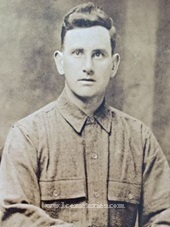 A farmer prior to enlisting on 25 October 1916, Pte Argent embarked with the 18th Reinforcements from Melbourne on board HMAT Hororata (A20) on 23 November 1916. He arrived in France for service on the Western Front on 31 August 1917. 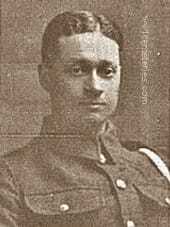 On 9 October 1917, Pte Argent was wounded in action at Passchendaele, Ypres, Belgium by multiple gun shot wounds. He died the next day. Son of William and Elizabeth Armstrong of South Shields, Co Durham; husband of Alice Armstrong (nee Christie) or 54 Blagdon Avenue, South Shields. Jack Armstrong's wife Alice, was her great aunt. This picture was taken on Jack's Wedding day. 1st November 1917, aged 25. Son of William John and Annie Atkins, of 35, Tivoli Rd., South Yarra, Victoria, Australia. Of Melbourne, Victoria. 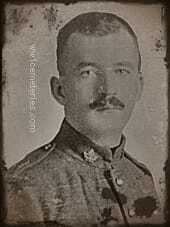 Died of severe abdominal wounds at 2nd (Canadian) Casualty Clearing Station, Poperinghe. Gunner Atkins was in his tent at the camp in Reninghelst when it was attacked by an enemy aeroplane. Bombs were dropped on the camp and Leslie Atkins was mortally wounded in the stomach by a piece of aeroplane bomb. 9th August 1916, aged 32. INSCRIPTION. GOD SHALL WIPE AWAY ALL TEARS FROM THEIR EYES AND THERE SHALL BE NO MORE DEATH . REV. XXI. 4. 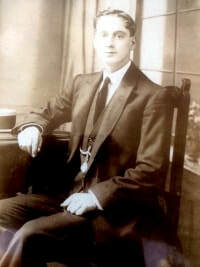 Arthur Stephen ATTRILL born 6th January 1884; in Ryde Isle of Wight, England. At age 18- was recorded in 1901 census, occupation being an ‘Erron Boy’. In 1902, he was in Ryde Salvation Army Band. 1903 he travelled to South Wales for work with his brother – at Cwmcarn Coal Mine, Ebbw Valley. Local Colliery for Ebbw Vale Steel Iron & Coal Company. At age 29, recorded in 1911 census, occupation ‘Carter’ to a builder in Ryde IOW. 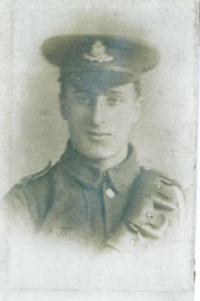 He joined the Army 4th Aug 1914, and was in the 1st Battalions Hampshire Regiment. (Hampshire Rifles). Army no 23144. He landed at Le Havre France on 23 August 1914. Following Drift Gas poisoning Aug 1916, he was brought to 3rd Canadian Clearing-station. at 11.30 p.m. on 8th August and died 9.30 am on 9th Aug 1916 at Remy Farm, Lijssenthoek, Belgium. Died of wounds – Gas Poison. 5th January 1916, aged 22. Son of Thomas and Emma Bainbridge, of 8, Tempest St., New Silksworth, Sunderland. 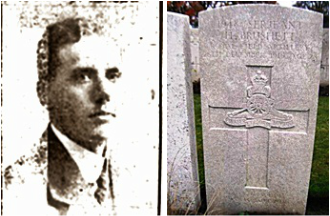 Arthur and his brother William were killed within a month of each other in 1916. 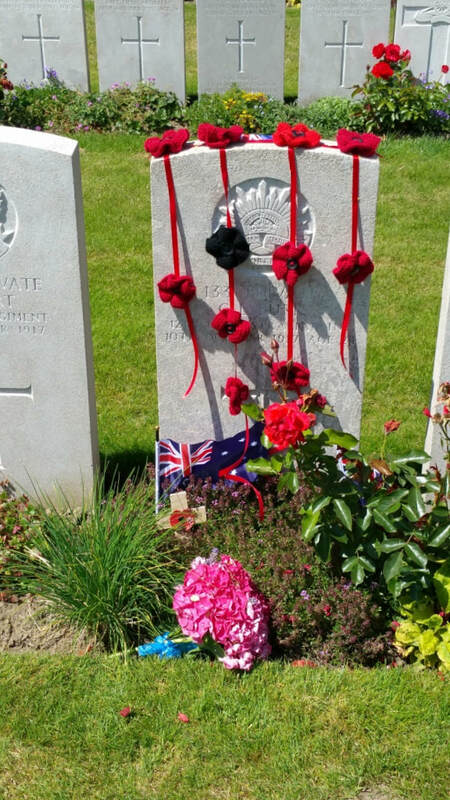 William is buried in London Rifle Brigade Cemetery in Belgium. Their brother John was a prisoner of war and the family didn't know he had survived till a long time after he was captured. 20th October 1917, aged 24. Son of James Gray Baker and Margaret Baker. Native of Australia. 11th February 1917. aged 19. Killed by a shell whilst in the front line at Wieltje. 9th November 1917, aged 24. Son of Mary Ann and the late William Banks, of 12, Hope St., Granville, New South Wales. A salesman prior to enlisting, he embarked from Sydney aboard the HMAT Themistocles (A32) on 5 October 1915. 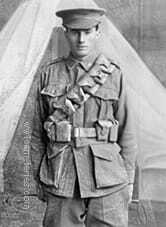 He transferred to the 5th Company Australian Machine Gun Corps and was wounded in action on 6 November 1917 at Passchendaele, Belgium. 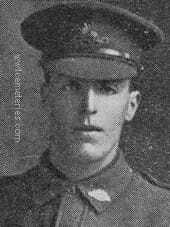 He died at the 3rd Canadian Casualty Clearing Station, Belgium, on 9 November 1917, aged 24. 18th September 1916, aged 26. 25th September 1917, aged 22. Son of John and Elizabeth Bawden. Native of Aldgate, South Australia. A 21 year old horse driver prior to enlisting on 2 October 1916, he embarked for overseas with the 8th Reinforcements of the 50th Battalion from Adelaide on 16 December 1916 aboard HMAT Berrima. Following further training in England, he went to Belgium where he joined the 50th Battalion on 25 August 1917. A month later, he was wounded in action at Westhoek Ridge, Belgium on 25 September 1917 and evacuated to the 17th Casualty Clearing Station for medical treatment. 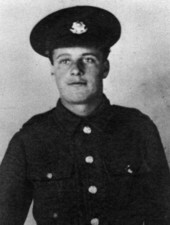 Pte Bawden died of his wounds that same day. 26th September 1917, aged 35. ​Son of Albert and Evelyn Beaver, of London County and Westminster Bank, Bayswater, London, England. Native of Melbourne, Victoria, Australia. 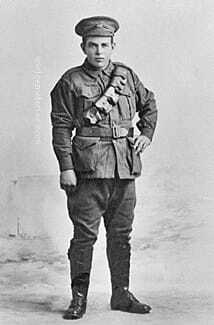 Lt Beaver was a commissioned officer with the armed constabulary of Papua when he applied for a commission in the 60th Battalion on 27 December 1915 which was confirmed as 2nd Lieutenant on 1 March 1916. He embarked at Melbourne on HMAT Orsova on 1 August 1916 for Plymouth, England. He joined the 60th Battalion in France in November 1916 and was promoted to Lieutenant on 1 March 1917. Later that month Lt Beaver was evacuated to England suffering from malaria which he had contracted in 1906 during his service in Papua. Lt Beaver rejoined his battalion in France on 28 June 1917 and was wounded in action near Ypres and died in the 17th Casualty Clearing Station on 26 September 1917, aged 35 years. 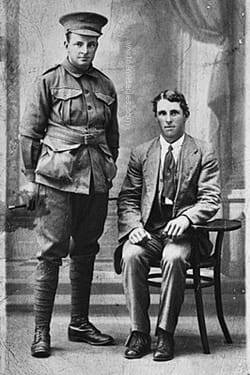 George Godfrey Beckett, 33rd Battalion, of Lightning Ridge, NSW (left) and his brother Albert (Burt) Beckett. 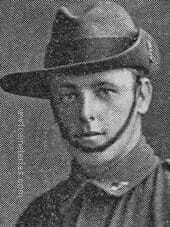 Pte Beckett enlisted on 20 November 1915, at Narrabri, NSW, and died of wounds on 22 September 1917 at the 17th Casualty Clearing Station, Belgium, while serving with the 2nd Battalion. Son of Thomas Bell, Castle Hille, Settle. Born in Burnley, he emigrated to Canada in 1912 and prior to enlisting he was a farm labourer. John returned to England to serve his country and originally enlisted in the East Lancashire Regiment at Hythe, Kent, 04/11/1915 but later transferred to the 1st Bn. Canadian Infantry after 14 weeks with the East Lancashires. John Bell died as a result of shrapnel wounds to his right side and arms. Son of Emily Alice Bennett. Native of Victoria, Australia. A farm hand, of Black Rock, Victoria. 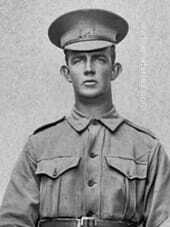 He enlisted in the 22nd Battalion on 1 November 1916 and embarked on HMAT Hororata on 23 November 1916 for Plymouth, England before joining the unit in France on 19 May 1917. 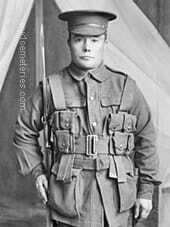 Pte Bennett was wounded in action at Westhoek Ridge, near Ypres when a shell burst in his trench, severely wounding him in the back, and died two days later, on 20 September 1917 in the 2nd Canadian Casualty Clearing Station, aged 23 years. 21st September 1917, aged 19. Son of Francis and Caroline Biggin, of Willaura, Victoria, Australia. 6th June 1917, aged 24. Plot XII. C. 42. A.
INSCRIPTION. HIS LOVING DEVOTION WILL BE FOR EVER ENGRAVED IN THE HEART OF HIS WIFE AND CHILD. Son of Joseph and Mary Blackwell, of Camberwell, London; husband of Florence Mabel Blackwell, of 50, Regency St., Westminster. Sidney Edward BLACKWELL born 1stMarch 1894; in Camberwell London, England, recorded in 1901 census age 7 and living with parents at 290, Waterloo Square, Camberwell, London, England. In the 1911 census, he was employed as a Porter and recorded; as still living with his parents, at a new address, 60a George Street, Camberwell, London. He married in Dec 1913 to Mabel Florence LADD ( born 1886 ) in Camberwell, London. 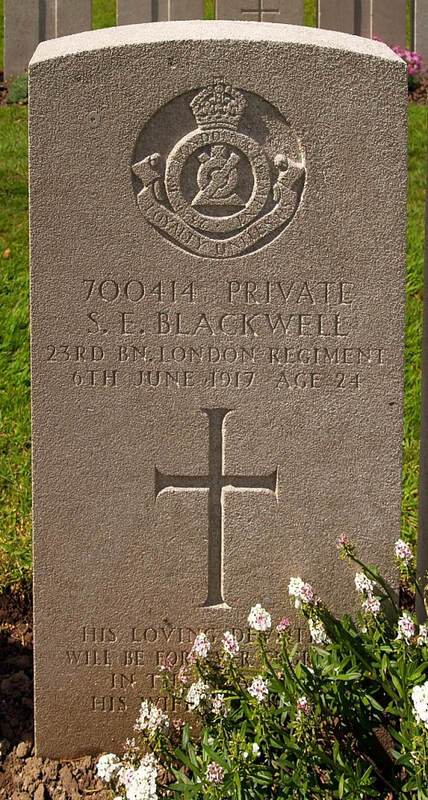 His daughter Ivy Mabel Blackwell, was born 1914 just prior to his Army Service. 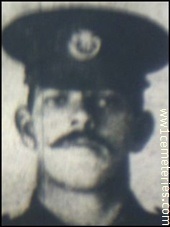 He enlisted the British Army 28thAug 1914 and joined the 23rdBattn London Regiment - Army record no 700414. He landed in Le Havre France on 14thMarch 1915 with this regiment. It is uncertain how he died or the exact place of death, as the war records states; died 6thJune 1917 age 24; place of death ‘France and Flanders’. It is known the ‘British Flanders Offensive’ started June 1917 in the Ypres Salient, West Flanders; with the Battle of the Messines Ridge. His wife Mabel Florence Blackwell received his three ww1 war medals, during 1921/22. ​Pictures courtesy of Mrs Margaret P. Attrill (nee Legg / Blackwell - niece ) and Mike Attrill for research and collation of text. 7th October 1917, aged 21. A clicker prior to enlistment Pte Blackwood embarked with the 17th Reinforcements from Melbourne on HMAT Euripides on 4th April 1916. 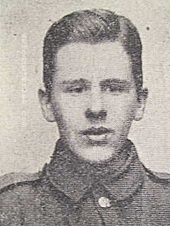 He died of wounds received in action in Belgium aged 21. 1st February 1918, aged 32. Son of Andrew and Margaret Boa, husband of Lillian née Stangroom and father of Mary and Andrew, born at Great Thurlow, Suffolk on 24/02/1885, educated at Framlingham College, arrived in France on Christmas Day 1917 and was wounded on 5th January 1918. Bravely born to the last. Picture courtesy of Roger Boa, nephew of this soldier. 1st August 1915, aged 30. Brother of May Bond, of Higher Metherell, St. Dominick, Cornwall. 29th September 1917, aged 23. Son of Arthur and Rebekah Bourne, of "Thelma," Prince St., Granville, New South Wales. From Granville, NSW. A carpenter prior to enlisting on 20 November 1916, he embarked from Sydney aboard HMAT Anchises on 24 January 1917. 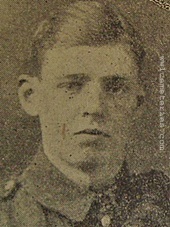 Pte Bourne received a shrapnel wound to the head and died on 29 September 1917 in Belgium, aged 23 years. 18th November 1915, aged 23. Son of Joseph and Elizabeth Bowman, of St. Cuthbert St., Burnley, Lancs. 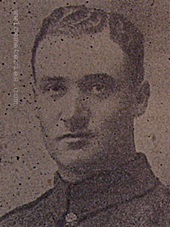 Husband of Mary Bowman, 101 Ardwick St., Burnley. 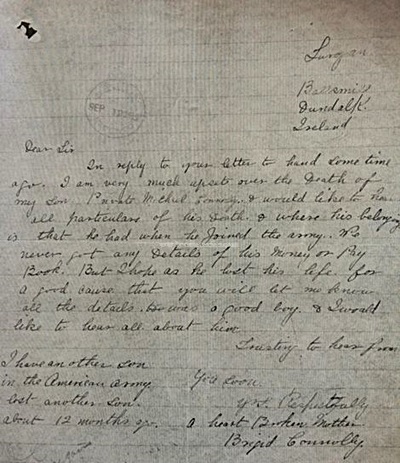 There is some confusion over the cause of death with an officer writing that it was as a result of Pneumonia, while another letter said that his death was the result of a shell bursting in the dug out next to where George was sheltering, he died of his wounds the following day. He worked as a twister at Coronation mill and had one son. He wrote this poem to his wife, Mary. Myself at home with a happy family. May this dark cloud pass away. Be though death may be our pay. Where wars no longer will remain. 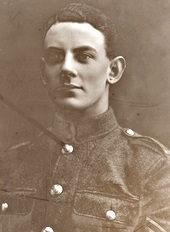 ​8th November 1917, aged 25. 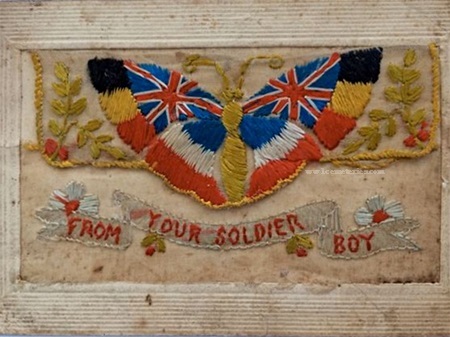 Son of William and Rosa Ellen Bowyer, of Rose Cottages, Waterloo Rd., Wokingham, Berks. 24th November 1917, aged 21. Eldest son of Samuel and Lilly Brigg of Wood Nook Farm, Brierfield, Lancs. His parents received a letter from the Chaplain stating that Arthur had been received into No.3 Canadian Clearing Hospital seriously wounded and gassed. Prior to enlistment he was an assistant to the secretary of the Brierfield Co-operative Society. His ability in accountancy had led to him being utilised by the army in clerical work in places such as Southport, Oswestry, Codford, Scarborough and Ripon. He was later transferred to France and was killed six weeks later. 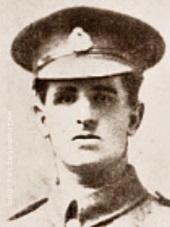 Thomas Charles Herbert Britt, M. M.
11th October 1917, aged 27. Son of Ellen and the late John Britt, of 699, High St., Kew, Victoria, Australia. 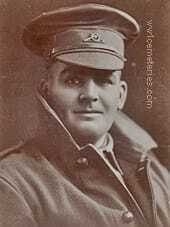 ​Died of wounds received in action at Zonnebeke. 3rd October 1917, aged 25. Son of Julie and the late William P. Brownell, of Hobart, Tasmania. 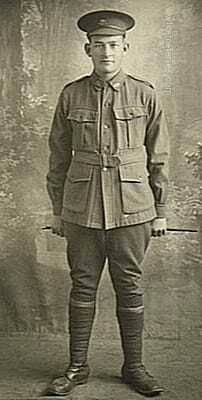 A grazier from Claremont, Tasmania, prior to enlistment on 3 September 1915, he embarked from Hobart aboard HMAT Ballarat on 8 August 1916 for Plymouth, England. 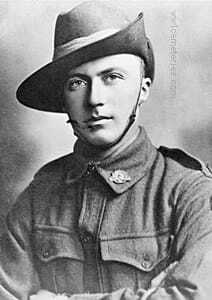 He was transferred to the 27th Battalion on 18 November 1916 and joined his unit on the Western Front, France, on 5 February 1917. He was promoted to Lieutenant on 24 February 1917. 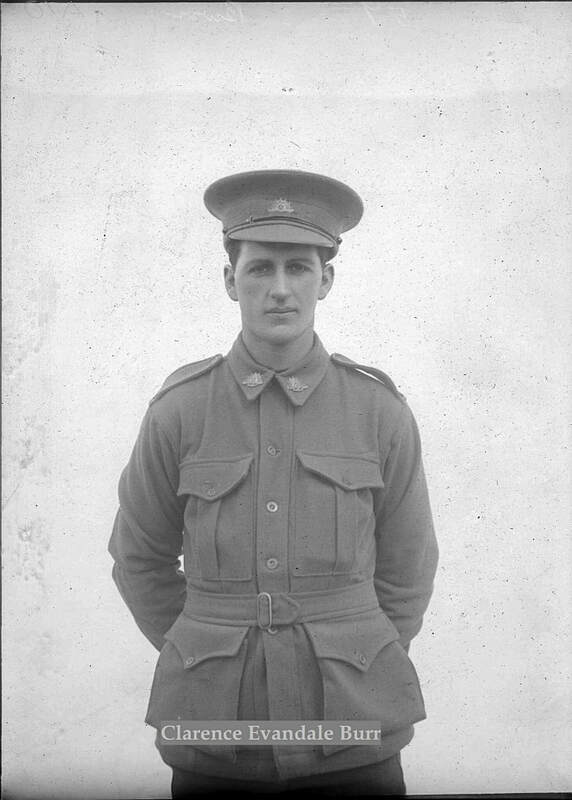 During May and June 1917 Lt Brownell served as Aide-de-Camp to the General Officer Commanding 3nd Australian Division before rejoining his unit in the field on 1 July 1917. Lt Brownell was wounded in action at Passchendaele, Belgium, on 3 October 1917 and died of these wounds later that day in No 10 Casualty Clearing Station. He was aged 25 years. 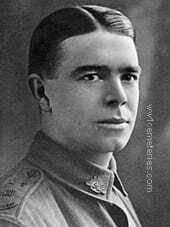 His older brother Major Herbert Percival Brownell served with the Australian Army Medical Corps in Gallipoli and on the Western Front, France, and was awarded the DSO and an MID. 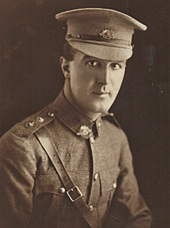 His younger brother, Raymond James Brownell served initially with the 3rd Field Artillery Brigade earning the Military Medal and then joined the Royal Flying Corp in March 1917 where he was awarded the Military Cross and after the war joined the RAAF rising to the rank of Air Commodore during the Second World War and being awarded Commander of the British Empire. 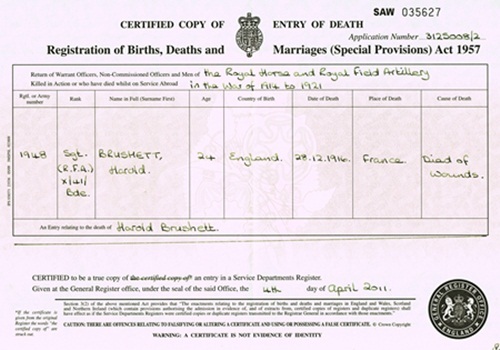 Son of Carl G. and the late Jane Bruhn, of Carisbrook, Victoria, Australia. From Carisbrook, Vic. Pte Bruhn enlisted on 22 March 1915 and embarked on board HMAT Euripides on 8 May 1915. He died of wounds received on 5 October 1917 at Ypres, Belgium. 28th December 1916, aged 28. Son of Sarah and the late George Sidney Brushett. Native of Kidderminster, Worcestershire. 6th October 1917, aged 34. Son of John and Jane Buchanan. Native of Smeaton, Victoria, Australia. A grocer from Launching Place, Victoria, prior to enlistment on 26 February 1916 he embarked from Melbourne aboard HMAT Nestor on 2 October 1916 for Plymouth, England, and then joined his unit on the Western Front, France, on 24 February 1917. Pte Buchanan was wounded in action for the first time on 3 May 1917 near Favreuil, France, and was evacuated to England for treatment and recuperation before rejoining his unit near Saint Omer, France, on 25 August 1917. Pte Buchanan was wounded in action for the second time on 4 October 1917 near Zonnebeke, Belgium, and died of these wounds at the 10th Casualty Clearing Station, Belgium, on 6 October 1917. He was aged 34 years. 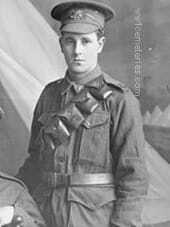 10th August 1916, aged 18. Son of John and Bridget Buckley, of 11, Lower Dominick St., Dublin. 19th September 1917, aged 21. Son of Edward James and Catherine Helena Buller. Native of Victoria, Australia. A sawmill hand of West Warburton, Victoria, prior to enlistment in the 22nd Battalion on 21 July 1915 he embarked from Melbourne aboard HMAT Commonwealth on 26 November 1915 for Egypt. 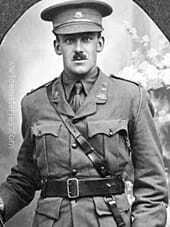 He was transferred to the 57th Battalion on 23 February 1916 then to the 59th Battalion on 15 March 1916 which relocated to the Western Front, France, during June 1916. Pte Buller was transferred briefly to 11th Light Trench Mortar Battery for the period 15 July to 2 August 1916 before rejoining the 57th Battalion. Pte Buller was wounded in action near Ypres on 19 September 1917 and died of these wounds later that day. He was aged 21 years. His older brother, 4758 Sergeant Arthur Archibald Buller died of wounds received in action near Bullecourt, France, on 11 May 1917, he is buried at Grevillers British Cemetery and his eldest brother, 5047 Pte John Alexander Buller was killed in action near Pozieres, France on 8 August 1917 and is commemorated on the Villers-Bretonneux Memorial. 10th October 1917, aged 24. INSCRIPTION. HE DIED LIKE THE BRAVE FOR KING AND COUNTRY. Son of Wesley and Martha Burr, of Fenton St., Devonport, Tasmania. Pictures courtesy of Robyne McGowan (Great Niece) of Strathmore, Victoria in Australia. 24th August 1917, aged 20. Only son of Edward Henry and Nora Edith Burt, of "Green Hill," Fleming Avenue, Leigh-on-Sea, Essex. 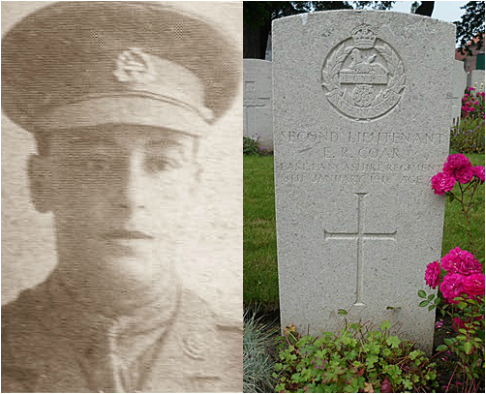 Picture on the right shows the original cross that marked Henry Burt's grave at Lijssenthoek and was sent to his next of kin after replacement by headstone; Henry Lewis Burt (who died on 24 August 1917) is buried in Lijssenthoek Military Cemetery, near Poperinghe. 4th November 1917, aged 26. Son of Thomas and Madeline Bush, of Colac Rd., Belmont, Geelong, Victoria, Australia. 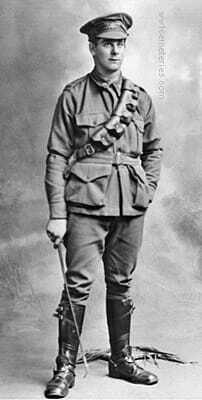 A farmer from Belmont, Victoria, prior to enlistment on 13 July 1915, he embarked from Melbourne aboard HMAT Ceramic on 23 November 1915 for Egypt. The regiment relocated to England in May 1916 before proceeding to the Western Front, France in August 1916. Tpr Bush was wounded in action near Poperinghe, Belgium, on 3 November 1917 and died of these wounds the following day at the 10th Casualty Clearing Station, Belgium. From Parramatta, NSW. A hospital attendant prior to enlisting, he embarked from Sydney aboard the SS Nicholson on 8 November 1916. Pte Butler was wounded in action on 10 October 1917, at Armentieres, Belgium and died at the 3rd Canadian Clearing Station on 12 October 1917, aged 24. 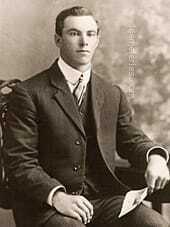 Son of Charles Edward and Mary Jane Capper, of 79, Gladstone St., Bendigo, Victoria, Australia. Native of Melbourne, Australia. 26th October 1917, aged 20. Son of Matthew and Stella Maria Carter, of 35, Laburnum St., Brighton, Victoria, Australia. 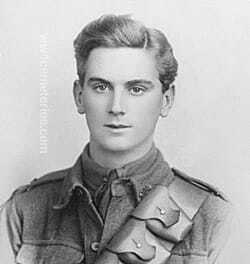 An 18 year old printer prior to enlisting on 1 February 1916, he embarked for overseas with the 16th Reinforcements from Melbourne on 1 April 1916 aboard HMAT Suffolk. He was wounded by a shell on 26 October 1917 near Passchendaele, Belgium, receiving wounds to both legs and buttocks. He was admitted to No. 17 C. C. S. in a critical condition and died of those wounds at 9:50pm on the same day. From Merredin, Western Australia. A blacksmith prior to enlistment, Spr Chegwidden enlisted on 10 November 1915 and served with the 1 Field Coy Australian Engineers. He was wounded in action on 28 September 1917 near Polygon Wood, and succumbed to his wounds two days later at the 10th Casualty Clearing Station at Lijssenthoek. 8th January 1918, aged 22. Son of Fred and Kate Coar, of 61, Cedar St., Southport, Lancs. Native of Burnley. "Everything Possible was Done to Revive Him"
Edward Coar was born in March 1895, the son of Burnley born Fred Coar and Kate Dewhurst, a native of Clayton-le-Moors, Lancashire. Fred was a Commercial traveller, specialising in wine and spirits working for Burnley based, John Taylor & Co.; Edward was their only son, they also had a daughter, Lilian. At the time of his baptism the family were living at 9 Brooklands Road, they later moved to 366 Padiham Road where they employed a domestic servant, Ireland born, Kate Potts. Edward was educated at Burnley Grammar School but after the death of his father in 1907 the family moved from their home in Todmorden Road, to Southport, where they were living at "Lyndhurst" 61 Cedar Street with Kate's elderly mother, Alice. By 1911, Edward had left home and was a boarder at Highgrove, the home of Ibzan Sagar who was the Cotton weaving manager at Carrington & Dewhurst's Grove mill in Chorley where Edward was employed as a Clerk. 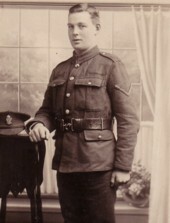 Edward enlisted as Private 265636 of the 7th Bn. King's (Liverpool) Regiment in September 1914, he went overseas the following year on 11 March 1915. He saw service at Festubert, Loos, the Somme, Gueudecourt, Guillemont and Arras. He became a Lewis Gunner and was made a Lance-Corporal and was made an instructor in the weapon before being recommended for a commission. 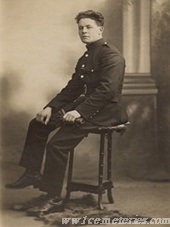 He commenced his Officer training at Bristol College and was gazetted to the 2nd Bn. East Lancashire Regiment where he was appointed Divisional Lewis Gun Officer and Transport Officer. 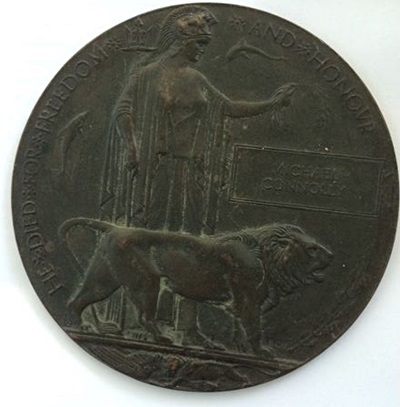 Whilst working as Transport Officer in 1918, Edward was mortally wounded by an enemy shell. He was the only officer to die at the station that day along with two other ranks. "He was brought to us about 5-30pm, very severely wounded in the leg and arm, and in a very exhausted condition, so that at once it was seen that there was little hope. Everything possible was done to revive him, but there was little effect. I talked to him, and he was not in pain, but was in difficulty with his breathing and begged me to raise his shoulders. I promised to write to you and send you his love. He was, of course, frightfully weak, but I don't think he realised his real condition. Before I left him he was more comfortable and was dying. A few minutes later the end came very peacefully and quickly with no warning." 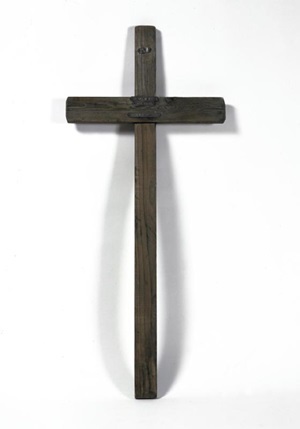 Second-Lieutenant Coar was laid to rest at Lijssenthoek Military Cemetery, a simple wooden cross marked his grave. "I tried to see your son's batman, but could not, as he was in great distress, having been with him when he was wounded, and, I believe, carried him out for some distance alone." In 1919, his mother Kate applied for his medals, she eventually received them in 1921. She lived to the age of 82, dying in 1945. Her body was returned to Burnley and laid to rest with her husband Fred in Burnley cemetery. Also added to the headstone were the words; Also of Lieut. Edward Roland Coar. 2nd East Lanc. Regt. Only son of the above. Killed in Action near Ypres. Jan. 8th 1918, aged 22 years. 22nd October 1917, aged 22. Son of Bernard and Brigid Connolly, of Lurgan, Ballsmill, Dundalk, Ireland. Native of Lurgan, Co. Armagh. ​1. Text on the back of the Card is faded but reads as follows: My dear Mother and Father just a PC to let you know that I am well and In The Pink. From your loving son M. Connolly. 2. The letter from Brigid Connolly (his mother) - this is a copy of a document which held in the national archives in Australia and is part of the digital service records available for Michael. 3. The Plaque was kept by my grandmother Brigid Doyle (Michael Connolly's sister), along with his photograph and the postcard he sent from Belgium. 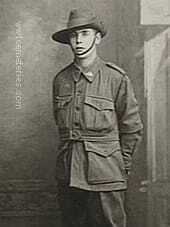 Pte Michael Connolly 4279 AIF - 29th Infantry Battalion enlisted from Sydney Australia on 23rd May 1916, he was Irish and came from Lurgancullenboy, Ballsmill, Co. Armagh. His enlistment papers indicate that he was 22 years and 3 months at the time of signing up, that he stood 5ft 6 inches tall, had blue eyes and Auburn hair, he also declared himself to be a Farm Labourer. He lists his sister (Mary Connolly) as next of kin on his enlistment papers but at a later date (after his first injury and furlough) changes his next of kin to his mother Mrs. Brigid Connolly. We are led believe that he saw his family during this period, my grandmother, his youngest sister, remembered him well in his Australian uniform, it is she who passed down his personal effects and kept his memory alive. His first injury, a gun shot wound to his left forearm received on 23rd March 1917 a few days after he first marched out to his unit on 19th March 1917. He was hospitalised in Rouen but returned to England on 29th March 2017 for further treatment in a War Hospital in Reading. On 11th May he was discharged for furlough. 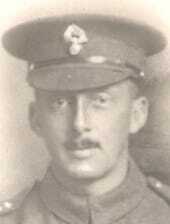 He rejoined his unit and went back to the front on the 13th July 1917. He was fatally wounded on 15th October 1917 and initially treated at the 10th Casualty Clearing Station before being transferred (it appears on the same day) to the 17th Casualty Clearing Station ('Dangerously Ill'). He died from his wounds (to the chest) on 22nd October 1917 at the 17th Casualty Clearing Station. He was buried at Lijssenthoek and his burial was overseen by Rev. 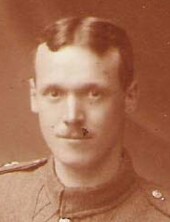 P. J. Kilduff (Chaplain, attending the 17th Casualty Clearing Station). He lies in Plot 22, Row D, Grave 4a. We, a small portion of his remaining family, nieces and grand nieces and nephews were privileged to visit his grave in Belgium. My grandmother Bridget Doyle visited his grave not long after the war in the early 1920's. 16th October 1917, aged 27. Son of Daniel and Catherine Conway; husband of F. E. Conway, of "Myola," Eton St., Nundah, Brisbane, Queensland. Native of Warialda, New South Wales. "He was admitted to this station suffering from very severe shell wounds of the abdomen. It is with regret that I have to inform you that he died at 5.p.m., 16th September 1917 as a result of these wounds. He was buried the next day in the soldier's cemetery near to this Hospital, his grave being duly marked and registered." 15th June 1916, aged 26. 22nd September 1917, aged 29. Son of William Henry and Mary G. Cooper; husband of Irene Cooper, of "Timor" 65, Beaconsfield Parade, Albert Park, Victoria, Australia. 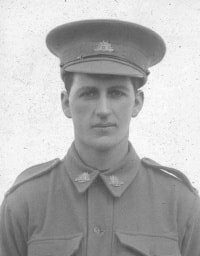 An accountant of Albert Park, Victoria, he embarked with the 108th Battery, 23rd Howitzer Brigade, on HMAT Medic (A7) on 20 May 1916. He later served with the 107th Howitzer Battery, 7th Field Artillery Brigade, and was later promoted to the rank of Lieutenant. On 22 September 1917 he died of wounds received on the Westhoek Ridge whilst in an Observation Post situated in a Pill Box within the front line trenches. "The O. P. was situated on Westhoek Ridge and consisted of a Pill Box in a trench. Lt. Cooper and Gunner M. Robert were observing from the trench about 5.40.a.m., when our barrage opened. A stray shell from the enemy's counter barrage struck the O. P. near the door and behinf Lt. Cooper and M. Robert. Lt. Cooper was wounded in the back and legs, there were two small wounds in the backone behind the right lung and one above the kidneys.He also had a bad wound in the thigh, which broke the thigh bone and two in the shin that gave him a compound fracture of the shin bone. Despite these wounds Lt. Cooper refused aid until all the others had been taken away to the Dressing Station. He smiled through it all and a greater exhibition of pluck and endurance it would be hard to find. We took him to a Dressing Station nearby and had his worst wounds attended to and the others were dressed further down. Some idea of his pluck may be gathered from the fact that he put up with all the jars and jolts necessitated by a trip of 3-4000 yards through mud, without complaint and always with a smile. We got him to the roadside as soon as possible and put him on an ambulance at once. His wounds had not bled excessively and he was quite conscious and cheerful when we put him in the car. He passed on from there to the 2nd Canadian C. C. S. at Remy siding about 2 miles from Poperinghe, where despite all the Doctor's efforts he died of septic wounds. I happened to be at the 2nd C. C. S. just as they were burying him and together with Lieut H. F. Rutledge (since killed) attended his funeral. After the funeral, I made enquiries at the 2nd C. C. S., and the records showeed that Lt. Cooper died of wounds (septic) in the thigh and shin bones. The Doctor told me that the wounds in the back were superficial. They said he had not much chance from the first but he fough it out cheerfully. Thus we lost one of our best officers and his death was keenly felt by all who had come in contact with him." 22nd September 1917, aged 22. Son of Philip T. and Francis K. Cornish, of 27, Walter St., Arncliffe, New South Wales. Native of London, England. From Orange, NSW, brother of 346 Gnr (later Sgt) Edmund Thomas Cornish, killed in action on 8 August 1918 and buried at Cerisy-Gailly Military Cemetery. A railway porter prior to enlisting, he embarked from Sydney aboard HMAT Shropshire (A9) on 20 August 1915. He died on 22 September 1917, at the 17th Casualty Clearing Station, Belgium from wounds received in action earlier that day, aged 22. Son of George Frederick Bruce Coulter and Ada Coulter, of 12, 3rd Avenue, St. Peters, Adelaide, South Australia. Native of Adelaide, South Australia. Son of Charles and Euphemia Dann, of 12, Gamon St., Footscray, Melbourne, Victoria, Australia. Native of Newport, Melbourne. 14th April 1918, aged 19. 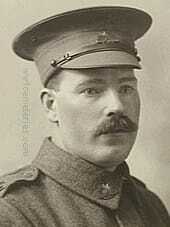 He enlisted with the 12th Batallion Royal Irish Rifles, at the outbreak of hostilities in 1914. He was subsequently found to be under age and dismissed. When he reached the legal age he re-enlisted, was sent to France, and was ‘Killed in Action’ within days of his arrival. He died in Flanders on Sunday 14th April 1918. Teddy is buried in Belgium at Lijssenthoek Military Cemetery. From Granville, NSW. A brickmaker prior to enlisting, he embarked from Sydney aboard HMAT Suevic (A29) on 20 December 1915. 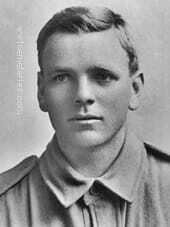 On 4 October 1917, he was wounded by a shell whilst tending the wounds of a comrade at Broodseinde Ridge, Belgium. 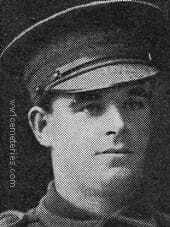 Pte Derome died of his wounds on 6 October 1917 at the 10th Casualty Clearing Station, Belgium, aged 25. 28th October 1917, aged 21. Son of George Dewhurst, 19 Perth Street, Burnley. The sister in charge of the hospital told his father; "He was admitted the day before he died, he was very badly wounded in the spine and neck. Everything that was possible was done for him." Priot to enlisting he was a weaver at Messrs. Cooper's mill, Hargher Clough. He originally enlisted in the Navy. 28th October 1917, aged 24. Son of John Joseph and Mary Ann Dewsnap, of 19, Porter St., Prahran, Victoria, Australia. Native of Maldon, Victoria, Australia. Pte Dewsnap enlisted on 7 July 1915 and embarked from Melbourne aboard HMAT Commonwealth on 26 November 1915. He died of wounds on 28 October 1917 at Lijssenthoek, Belgium. 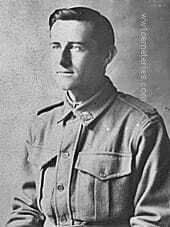 His two brothers also enlisted in the AIF. 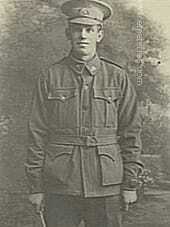 3027 Pte John William Dewsnap, 10th Reinforcements, 7th Battalion, of Brighton, Vic, aged 37. He was killed in action on 29 July 1916 in France whilst serving with the 59th Battalion and is commemorated at the V. C. Corner Australian Cemetery. 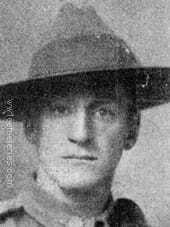 Also, 4493 Lance Corporal George Peter Dewsnap, 2nd Field Company Engineers, was awarded the Military Medal (MM) on 17 December 1917. 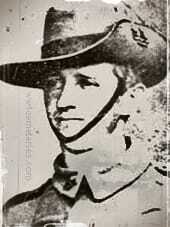 ​Son of Edward and Rosa Dingle, of 1617, Sturt St., Ballarat. Victoria, Australia. From North Croydon, SA. 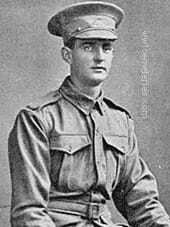 An electroplater prior to enlistment, Pte Dingle embarked with the 12th Reinforcements from Adelaide on HMAT Berrima on 16th December 1916. 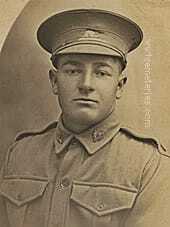 On 21st October 1917, after transferring to the 50th Battalion, he died of wounds received in action in Belgium. 29th October 1917, aged 24. Son of James and Elizabeth Dole; husband of Dolly Dole, of Gooramadda, Chiltern, Victoria, Australia. Native of Bendigo, Victoria. 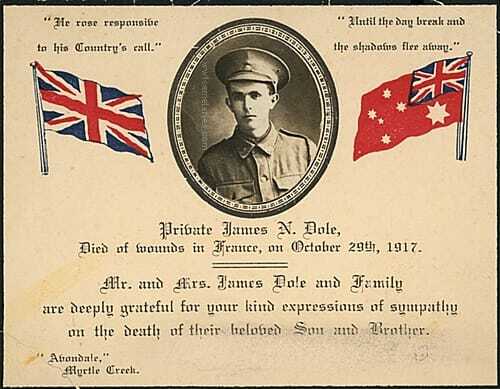 James Dole died at 7.15.a.m. on 29th September 1917 at No. 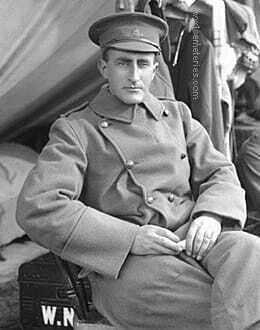 3 (Canadian) C. C. S. Poperinghe, of Gun Shot Wounds to the chest, left thigh and foot. Son of Tom and Margaret Donaldson. Native of Parkside, South Australia. 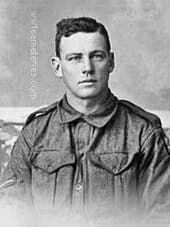 Alexander Donaldson a labourer from South Bunbury, embarked from Adelaide aboard HMAT Geelong on 18 November 1915 for Suez. His battalion relocated to the Western Front, France, during June 1916. Pte Donaldson was wounded in action on 20 July 1916 during the Battle of Fromelles and was evacuated to England for treatment and recuperation before rejoining his battalion in late November 1916. He was wounded in action on a second occasion at Polygon Wood, Belgium, on 29 September 1917 and died of these wounds the following day and is buried in the Lijssenthoek Military Cemetery, Belgium. His younger brother, 55 Sergeant Harry Donaldson, 28th Battalion died of wounds received in action near Montauban, France, on 10 November 1916 and is buried at Heilly Station Cemetery. He was aged 24 years.